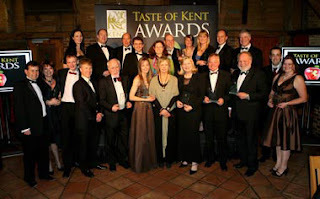 Well done Blue Bell Hill Apiaries for winning the much coveted Kent Food Producer of the Year at last nights Taste of Kent Awards. Given everything beekeepers are going through at the moment dealing with a disease that is killing off our native bees, I am sure this award meant a lot to Norman and the team. Congratulations!